West Tours & Travel @ Paradise Canyon can help you book any Cruise line such as Celebrity, Norwegian, Royal Caribbean, Carnival and many more. 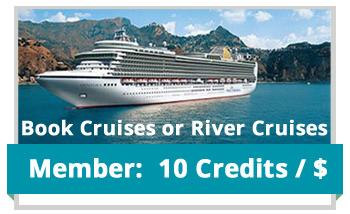 You can also book River Cruises. Avalon Waterways and Viking River Cruises are very popular but there are lots of smaller River Cruise Companies as well. Call us if you already know what you want or let us help you with some ideas.